The Lubbock (Texas) Avalanche-Journal quoted two sources saying the Washington State coach is interested in the vacancy at his former place of employment — Texas Tech. One source said a large contingent of Texas Tech donors will lobby athletic director Kirby Hocutt to make it happen.. The Red Raiders fired coach Kliff Kingsbury on Sunday. 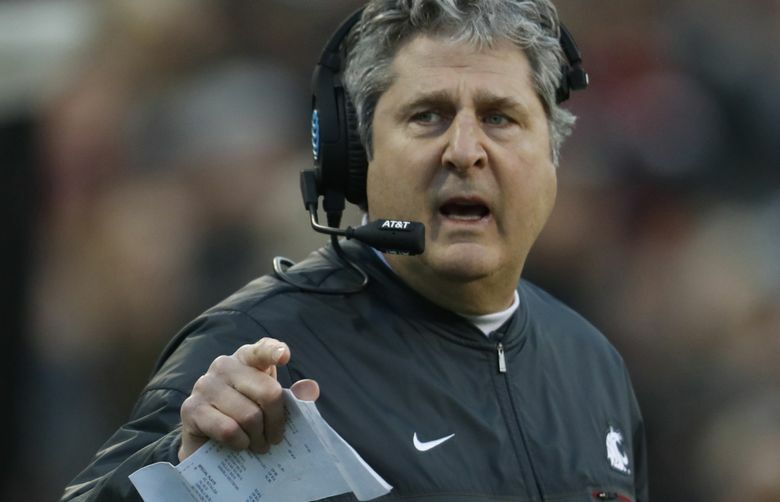 It didn’t take long for Mike Leach’s name to pop up in connection with an open college football coaching position, but the first rumor is certainly surprising. The Lubbock (Texas) Avalanche-Journal quoted two sources saying the Washington State coach is interested in the vacancy at his former place of employment — Texas Tech. Yes, Texas Tech, where Leach was fired amid reports of mistreatment of players, and the school Leach unsuccessfully sued to try to capture salary he said was owed to him. In a story written by Don Williams of the Avalanche-Journal, two sources said Leach is interested in the position now vacant after the firing of Kliff Kingsbury. One source said a large contingent of Texas Tech donors will lobby athletic director Kirby Hocutt to make it happen. The second source said considering the popular but polarizing Leach might trigger too much controversy internally and probably would lead Tech to a safer choice. Leach went 84-43 from 2000-09 at Texas Tech. The high-water mark came in 2008 with a 10-0 start and a rise to No. 2 in the national rankings before the team lost two of its last three. Right now, Leach has his WSU Cougars at 10-2, No. 12 in the country, and awaiting a bowl berth. The newspaper said there are all sorts of roadblocks to a Leach-Tech reunion, and the prospect could flame out. Tech owes Kingsbury $4 million in buyout money over the next two years, in addition to paying whomever is hired and presumably funding a new coach’s buyout obligation in his current deal. Leach is making $3.5 million this year, according to USA Today, on a contract agreed upon last December. All told, the obligations could approach or exceed $10 million, though the two sources who described Leach as interested said the money likely would not be an issue. The paper reported that just as there are donors pushing for Leach, others are dead set against the man who sued the university after being fired for alleged mistreatment of a player. Leach has periodically railed against Tech since, claiming the university still owes him money — arguments Tech officials reject, citing court decisions in the university’s favor.